Janette Sadik-Khan, Commissioner, New York City Department of Transportation, will give welcoming remarks to kick off the event, followed by the award presentation. The Sustainable Transport Award is presented each year in Washington during the annual meeting of the Transportation Research Board. The event is free and open to the public. RSVP here: https://sta2012.eventbrite.com/. For more information, photos, and videos about the award visit www.st-award.org. In 2011, Guangzhou, China took home the award for its world-class bus rapid transit system (BRT), integrated with bike lanes, a bike-share system and metro stations. 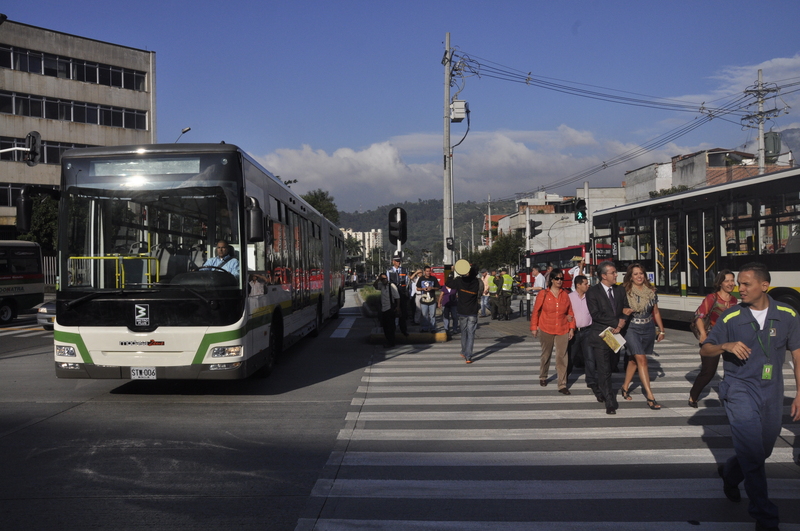 ITDP reports that the BRT serves 800,000 passengers every day. The previous year, Ahmedabad, India took home the award with its Janmarg BRT system, which was projected to save 288,000 tons of carbon dioxide each year in its operation, simply due to the fact that it would prevent commuters from switching to private vehicles. Below are short excerpts from ITDP’s website that describe the sustainable transportation initiatives of each nominated city. 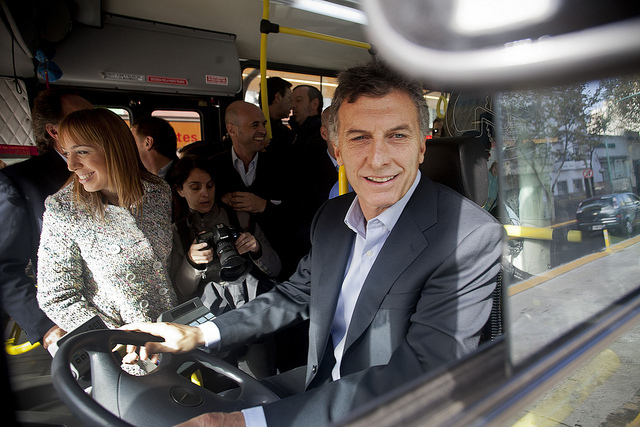 Chief of Government of Buenos Aire Mauricio Macri launched the city's new BRT system in 2011 by driving one of the buses. Photo by Mauricio Macri. The City of Buenos Aires has successfully implemented two key projects to contribute to sustainable transport: the first BRT (Metrobus) and Bike Sharing System (Mejor en Bici) in the country. Metrobus, launched in May 2011, is the first bus rapid transit system in the city and in the country. It operates 24hs a day, 365 days a year, with a 2 minutes frequency during peak hours and between 2 and 4 minutes off peak. The city has also developed the on-street bike lane network across the city’s central area, connecting key transport hubs, office buildings and universities. The network will soon be reaching the catchment area. To ensure cyclists’ protection, the city also implemented segregated bike lanes from car traffic, as well as traffic calming devices at intersections. 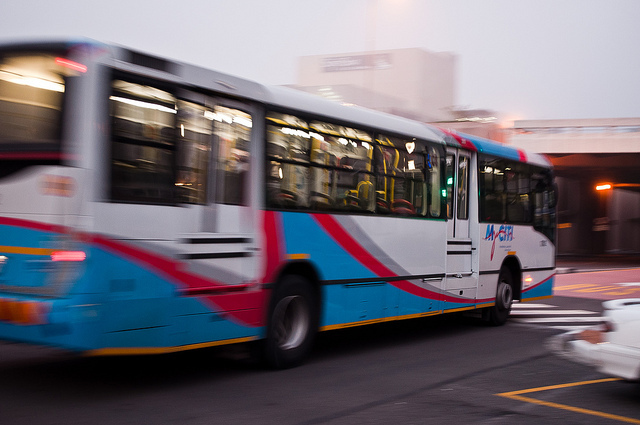 After overcoming a political divide, Cape Town launched its newest BRT line, reducing travel time by half. Photo by Richard Atkinson. The city has successfully opened a 16 km long segregated BRT corridor in an area where there has not been any mass transit investment. It has also opened the longest continuous bike way in Africa – 16 km of protected bike way – which parallels the BRT corridor. Travel time has been reduced by about 50% – on the BRT corridor it takes about 35 minutes end to end, while previously it would have taken an hour to an hour and a half. The city has also incorporated the existing operators into the new system as companies that are contracted to provide the service. Medellin's new BRT system integrates a public bicycle system, encouraging commuters to participate in active transportation. Photo courtesy of Carlos Felipe Pardo. – Improvement of public spaces: quantity and quality of public spaces has been improved, by means of pedestrian connection improvements, environmental parks, urban promenades, as part of the Urban Integral Project of the city. – Public bicycle program – “EnCicla”: A public bicycle system that has started with an approach integrating universities and mass transit, along with other key destinations of the city. – BRT – “Metroplús”: The development and inauguration of a BRT project that is fully integrated (physically and fare) with the existent mass transit (metro and cable car). 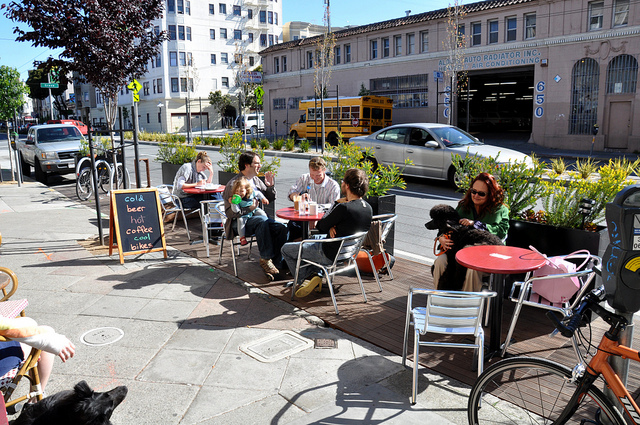 San Francisco's Pavement to Parks program transforms street parking into public spaces. Photo by jeremyashaw. The San Francisco government has worked on two major sustainable transportation initiatives over the past few years (and much more) that is capturing imaginations locally and around the world. First, the city has worked with local business and community groups to phase in SFPark, a smart approach to parking management in commercial districts around the city. Second, the city’s innovative Pavement to Parks program has created new street plazas and many new parklets (sidewalk platforms that replace car parking spaces) by reclaiming street space in partnerships with businesses and other community groups around the city. The parklets program has captured international attention, prompting a host of other cities to begin their own programs, from New York City to Vancouver. In the wake of these successes, San Francisco has also begun upgrading and expanding its bike network to attract riders of all ages, setting an ambitious target of 20 percent of all trips by bicycle by 2020. The City is also implementing slow speed zones around all city schools, and is in the process of figuring out how to expand its popular Sunday Streets program (ciclovia recreativa) to meet the demand for a weekly program. RSVP to the 2012 Sustainable Transport Award Ceremony.